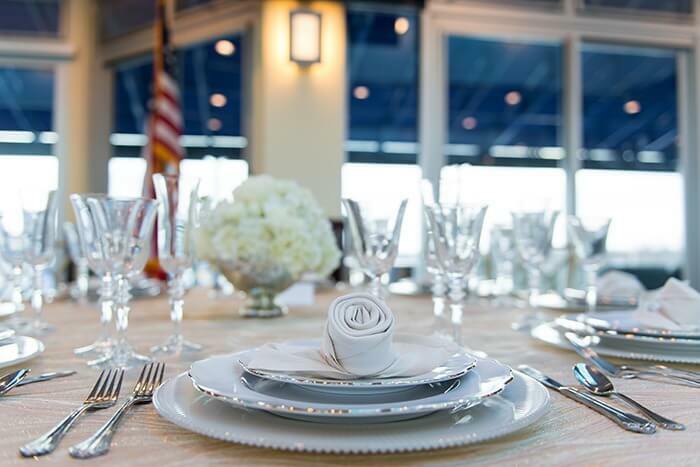 When it comes to underrated event venues in Annapolis, Maryland, Akerson Tower comes first to mind. Not only is it a perfect location for those who have pride our Midshipmen and the Navy-Marine Corps Memorial Stadium, it also offers spectacular features. For starters, the view of the stadium and surrounding areas are stunning. So, naturally, Main & Market and the Naval Academy Athletic Association held an open house, to showcase the location and local event vendors. Akerson Tower can house up to 300 people. It is composed of two large suites, the North and South Tower rooms. You can rent both or just one. Main & Market staged the South Tower and served a delicious menu. There was a photo booth provided by Hamilton, music by Bayside Rhythm Section, custom decorated tables with gorgeous floral arrangements and open bar to showcase the versatility of the space. The location makes for a picturesque location for weddings, fundraisers, corporate parties, and more! For more information about pricing and availability, contact us or email Kris Morgenthaler of the Naval Academy Athletic Association. See below for more photos and the featured menu. 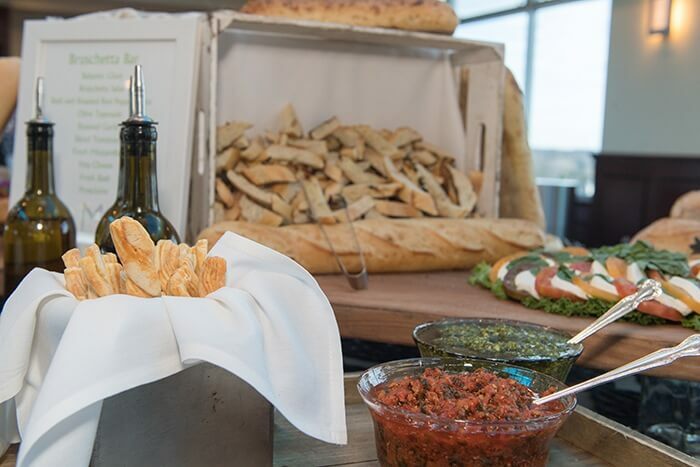 The Akerson Tower Open House featured Main & Market catering menu items including butler-passed appetizers, a thirsty tasting station, club plates, dessert station, and a full bar. Wild mushrooms with a velvety gorgonzola sauce. 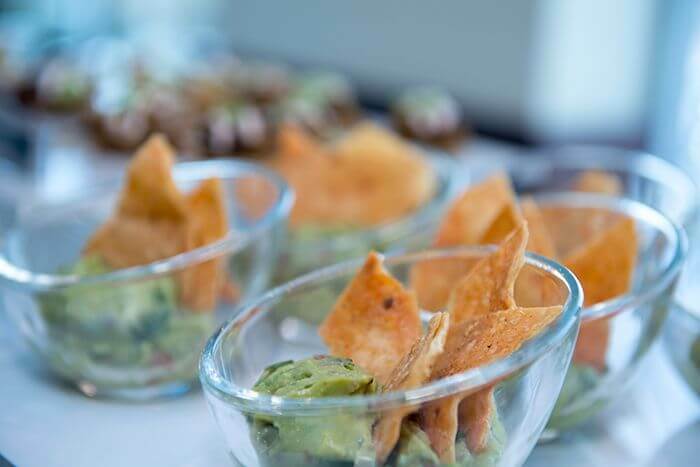 Contact us today for catering your event. 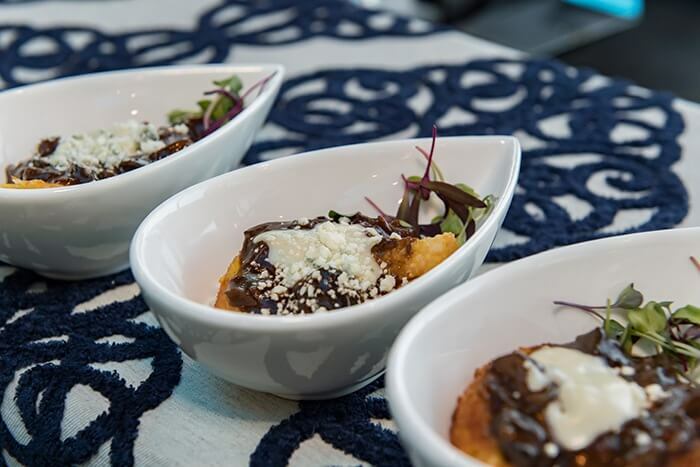 Whether you are hosting a corporate lunch, a wedding rehearsal, or a social event, we know how to showcase your style with delectable cuisine. So, let’s get started customizing your menu! All these amazing photos were provided by Annapolis wedding photographers, Hamilton Photography.